Unless you’ve been hiding under a rock for the past 18 months, you are probably all too familiar with the term ‘social purpose’. More than just the latest buzz word in business, we are now living in what is being described as ‘the purposeful age’, but what does purpose really mean for brands, where has it come from and what role does PR play in this new age? We recently attended the Chartered Institute of Public Relations (CIPR) national conference, which saw over 200 communication professionals gather at the British Library in London to hear some of the UK’s most influential business leaders speak about the complex subject of accountable leadership and social purpose. The line up included Richard Walker (Managing Director, Iceland Foods), John O’Brien (European Managing Partner, ONE HUNDRED), Jonny Dymond (BBC Royal Correspondent), Ian Macrae (Director of Market Intelligence, OFCOM) and Molly Aldridge (CEO, M&C Saatchi Public Relations). John O’Brien from ONE HUNDRED, defines brand purpose as being, “The reason for a company to exist beyond making money”. He claims that real purpose extends way beyond CSR initiatives and philanthropy and is about brands changing the very DNA of their culture to make a positive and sustainable contribution to society. With recent studies suggesting that 60 percent of millennials want to join companies with a purpose, and 66 percent of consumers are willing to pay more for products from more socially responsible companies, it’s easy to see how a clear sense of purpose can have a positive effect on a brand’s overall success. The idea of purpose is not a new one. Back in 1976, Anita Roddick founded The Body Shop based on her passionate belief that business can be a force for good. For over forty years, The Body Shop has followed Roddick’s values – never being afraid to stand out from the crowd and to stand up for what’s right, in a clear mission to enrich its products, its people and the planet. In many ways, it’s surprising that it’s taken such a long time for Anita Roddick’s vision to be acknowledged and embraced by the wider business community. Traditionally, many companies have shied away from speaking out about social issues for fear of attracting negative publicity. However, in today’s age consumers know that businesses are influential and have the power to help to change and shape the world around us, and with 90 percent of the public wanting to hear businesses speak up about big social issues, it’s arguably time for companies to reassess their stance on this matter. We all know that times are changing, but is it really that easy for brands to establish and communicate a clear sense of purpose? Firstly, it’s important to remember that change can’t and shouldn’t happen overnight. Purpose indicates a cultural shift for brands and must be authentic, business aligned and values driven. It isn’t a new campaign, theme or strapline – it needs to run through every strand of a company’s DNA, which requires clear communication and transparency with employees and stakeholders. It’s no secret that engaged employees will always be a brand’s biggest advocates and increasingly people want to work for companies that share their values and want to understand why we do what we do, not just what we do. Good communication is critical when defining purpose and PR professionals have a fundamental role to play when it comes to helping brands to define and communicate their company values, and how these can be utilised for effective narratives and rapport building with employees and target audiences. Iceland is a brand that is successfully demonstrating a clear sense of purpose and its MD, Richard Walker spoke passionately about the work the company is doing to reduce plastics and eradicate palm oil from their own-branded products. Iceland’s purpose was recently magnified by its banned 2018 Christmas advert highlighting the issues with Palm Oil, which has since received 65 million views online. Walker, firmly believes that all companies can adopt purpose by following a simple set of rules. Whatever your views on brand purpose, it’s clear that the term is here to stay and 2019 will see more and more brands adopting social purpose within their communication strategies. 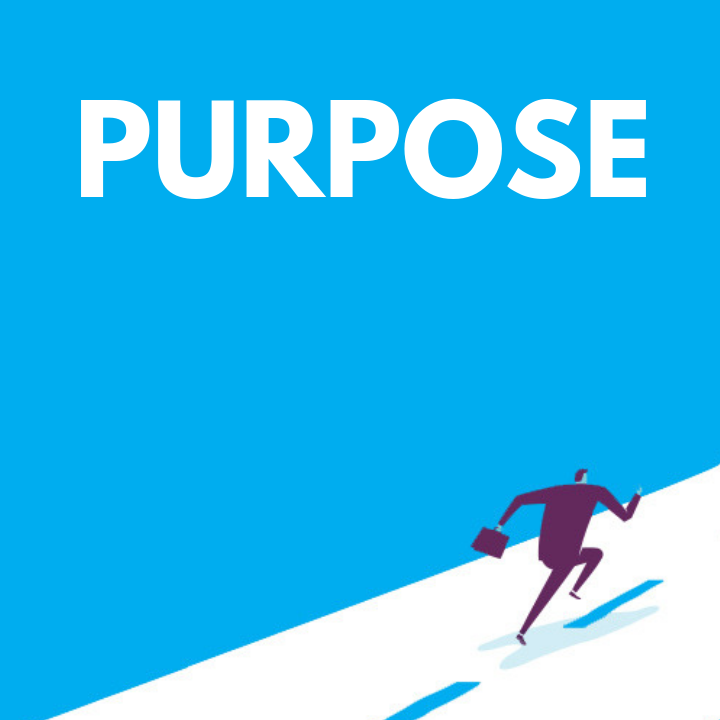 Here are ADPR’s top tips for implementing purpose within your company. Be clear what purpose is – it should convey why your business exists and should seek to create change in the world. Purpose must be authentic, business aligned and values driven. Once you know what your purpose is, articulate it with a clear road map of how you plan to get there. Remember that your brand is not just your website, logo and taglines. It starts with employees who are your catalysts for a healthy company. What they say, how they act, how they talk to customers and how they buy into the company value system is critical. Walk the walk, live and breathe your purpose and beliefs. Your communication strategy should only ever be an amplification of things that are already being done. Engage and empower the right people to deliver your purpose. Please contact Sophie Foyle at ADPR on sophie@adpr.co.uk if you would like to discuss showcasing your business’s purpose.